Utilize the assets you already own to help fund your future. Quick. Discreet. Incredibly easy. RK & Co. has maintained an impeccable reputation as Georgia’s premier luxury asset-based lender. Providing discreet collateral-based luxury loans, we set the industry standard for discerning customers looking for liquidity at reasonable rates with flexible terms. RK & Co. Luxury Lending is the best place in Suwanee to get a loan on your diamonds, jewelry, or high-end watches. 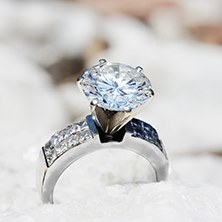 For loans on jewelry and precious metals, one of our GIA educated lenders will evaluate your assets while you wait and determine what we are able to lend. Should you accept our offer, payment is made immediately by check. The loan is written for 30 days at an interest rate moderated by Georgia State Law. At the end of the loan period, you can either pay the interest and extend your loan for another 30 days or pay the interest and principal and redeem your assets. For luxury watch loans, we are not able to make an immediate evaluation in some cases, as these items often need further research and authentication. We work quickly and confidentially to determine appropriate loan values. It is important to bring any documentation, including certificates of authenticity, bills of sale, and previous appraisals when bringing in watches for evaluation. 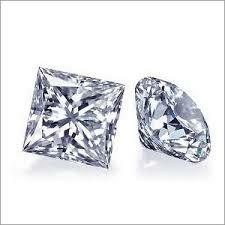 You've got diamonds, 1 ct, 2, ct., 3 ct., no matter the size and need some extra money for whatever reason, we can help. Come see us for a simple, quick, easy loan on your diamond. You've got a Rolex Submariner, Yachtmaster, or a Datejust and need some extra cash, we can help. Come see us for a fast, safe, discreet loan on your jewelry. You've got a diamond bracelet and need some extra cash for whatever reason, we can help. Come see us for a fast, secured loan on your diamond bracelet. 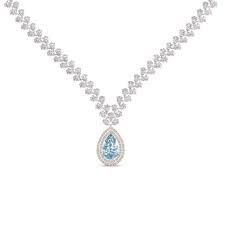 You've got a diamond necklace and need some extra money for whatever reason, we can help. Come see us for an easy, discreet, collateral loan on your diamond necklace. ©2018 RK & Co. Luxury Lending. Do not copy. All rights reserved.